Irresponsible Democrats in the last Congress failed one of their primary Constitutional duties. 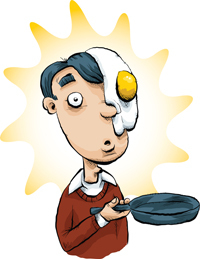 Now the Democrats sit back with egg on their faces, being dubbed the "PARTY of NO budget" after failing to write a budget for the current fiscal year, which began in October, 2010, even though they controlled the US House, US Senate and White House. Instead, they chose to shirk that responsibility and punt to the new Republican controlled House. Now Senate Democrats are poised to shut down the federal government. Why? Because the House of Representatives, which is now under the Republican leadership of John Boehner and the brilliance of Paul Ryan, is about to do what the previous Congress wouldn't do: Cut current spending and propose and PASS a real budget. And then, as if things aren't ridiculous enough already, the President, after scolding Congressional leaders and telling them to "act like grownups" and pledging to work long hours to get this process done, left Washington DC to hit the campaign trail! WHAT!!!??? 19 months away from the 2012 election and two days away from a government shutdown President Barack Obama says, "Hey... I have to raise a billion dollars to convince you people I deserve to be re-anointed... I mean, re-elected. Do you have any idea how long it takes to raise a billion dollars in this screwed up economy?" Okay, he didn't really say that, but he might as well have as he skipped town to New York and Philadelphia (yesterday, while he was supposedly working long hours on this compromise). The only thing Obama is compromising is how much time he is willing to devote to solving the problem Nancy Pelosi and Harry Reid left him with from last year. Oh sure, he came back for a, er, "late night emergency meeting" at the White House to press Boehner and Reid to agree on a budget. Uh, what is it that the Democrat controlled congress and Obama didn't know last year about planning and passing a federal budget that justifies their crisis today? Maybe that they now have egg on their faces? Pelosi tells Hoyer - This job is easy when you don't have to do your work! Even CBS News gets it stating "...that it was Democratic leaders in control of both chambers of Congress last year who turned the whole business into a game by not passing a budget. (In fairness to Democratic leaders, that wasn't mere game-playing. That was serious duty-shirking.)" In the mean time, Republican leaders are not only trying to put forward a budget for the rest of this fiscal year with responsible spending cuts to reduce the current deficit and avoiding a government shutdown, Paul Ryan has proposed a budget for FY 2012 (that has been described as sheer brilliance. Isn't that what Pelosi should have done last year for this budget cycle? By law, the budget must originate from the House of Representatives. It is their sole responsibility to initiate spending measures. The Senate Democrats now want to be the "Party of No" and force a shutdown because they can't live with the results of the 2010 midterm election. Too bad Harry... Hold your nose and pass the resolution or any shutdown is on your party's hands. Remember, it was SPEAKER Nancy Pelosi and MAJORITY LEADER Harry Reid who offered up the shortest federal budget in US history - 0 pages. Republicans are doing what the voters of 2010 asked them to do -Reducing government spending. Democrats are standing in the way. If there is a government shutdown, it will be on their heads and the voters will remember in 2012. I don't see how Obama has any chance of re-election unless he reverses Executive Order 13489 (signed the day after he took office), which effectively seals all his pre-presidential records. We're talking about someone who had no public record prior to 2004 and who has reneged on all his campaign promises. Unlike the fawning New York Times and Washington Post, Fox News will make mince meat out of him. I blog about this at "The President with No Past" at www.stuartbramhall.com.